Banstead Past and Present – The changing scene of Surrey village life in Banstead. 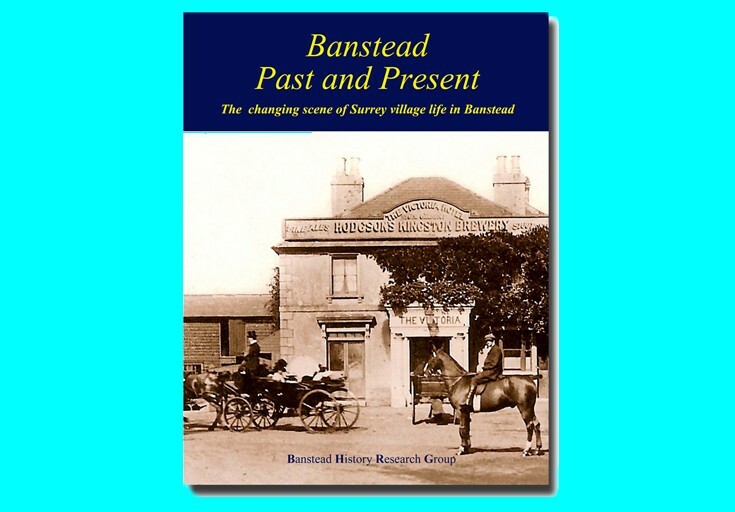 Published in December 2010, this publication from the Banstead History Research Group includes dozens of postcards from the early 1900s accompanied by recent photographs taken from the same viewpoint. Over 100 pages of photographs are enhanced by brief historical summaries of the subject matter. The Victoria Hotel, shown on the cover page is now a Pizza Parlour/restaurant, Zizzis.